Mold is a sneaky predator that can grow virtually anywhere, and remain undetected for years. Our proven mold remediation solutions can provide you with the peace of mind you need to know that your home or workplace is free of mold—today, and for years to come. 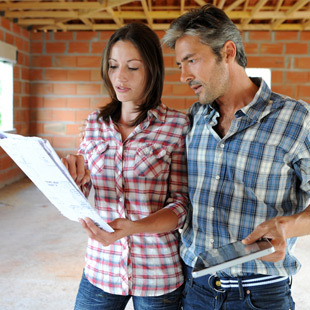 We can help you treat existing mold growth or better yet, prevent mold right from the beginning stages of construction of your new home! Protect your family and your new home against mold with our Mold Prevention System. Mold inspection involves identifying mold and what has caused mold to grow. Mold requires elevated moisture levels and this is something we focus on so that we can eliminate the cause or advise the homeowner what steps need to be taken to eliminate it. Let Mold Solutions NW help you treat existing mold growth or better yet, prevent mold growth during construction of your new home! If you have a mold problem, get Mold Solutions. Our experienced mold remediation technicians will rid your home or commercial property safely of mold and ensure it doesn’t come back. We are specialists in mold remediation and prevention.We are different because this is all we do, and we are darn good at it. Get Mold Solutions…so you can breathe easy! Mold Solutions NW is a full service mold solutions provider. 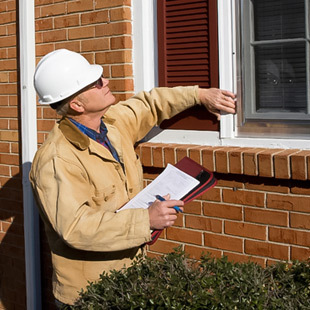 We will do a complete and thorough inspection to identify potential mold problems. We are experts at removing any threats. We will then treat your building in a safe and precise manner. We then apply a safe preventative solution to eliminate any future mold occurrence. With locations in North Bend, Issaquah, and Cle Elum, we’re your one stop-shop for mold removal in the North West. We have knowledge of mold remediation as well as mold scientists. We have successfully dealt with mold on every surface you can imagine and we do it on a daily basis. “Marc Turkel of Mold Solutions NW is fantastic! We wanted to get a Mold check done. Marc was able to make time the very next day! He performed a thorough inspection and gave definitive recommendations about the non-existence of mold. He also refused any payment for the inspection! If You Have a Mold Problem, Contact Us! Mold is a living organism that grows and reproduces quickly. Microscopic spores are formed, multiply and are released into the air. These spores land on any surface that offers them everything they need to live and grow; moisture and organic materials for food. Mold spores are always in the air around, but typically in standard/digestible amounts. There isn’t usually a problem unless or until the mold spore levels are too high. If you are experiencing symptoms of mold allergy: runny nose, cough, rash, you may have a problem with mold in your home or workspace. There is mold in every building. It can never (and should never) be eliminated completed. It’s a natural and necessary element that enters a home any time a door or window are opened, or something new is introduced into the environment. Mold grows in colonies and it is this that gives off the musty/recognizable odor. Once mold becomes a problem, it can also become dormant. But, it will never go away on its own. It will need to be removed (remediated). Mold buildup does not affect everyone in a household. But for many, mold exposure can be extremely harmful to health. It is in the air and is breathed in. Health issues can include fever, cough, rash, dry and itchy skin and eyes, and many more. Mold grows in moisture and prefers areas with no light. Quite a lot of types of molds appear to be black in color, but they are not necessarily the harmful “Stachybotrys” strain that caused so many terrible health issues. Just because you find black mold in your house, don’t panic just yet. You can’t just clean visible mold with bleach. Bleach is water based and since mold collects near moisture, as soon as you are done cleaning the bleach, it can start collecting again. Penicillin is derived from mold (proving that not all mold is harmful). Mold can grow in the ductwork of your heating system. It is just as likely for new homes to suffer from mold growth as it is for older homes. Mold that is growing on non-porous surfaces (glass r ceramic tile) can easily be cleaned with detergent and water. However, when it is growing in (or on) your walls, ceilings, or wood, that’s when you should call a professional remediator like Mold Solutions. There is one common link between all buildings, big or small, business or residential, that have a mold problem: moisture accumulation. If a building doesn’t have a moisture problem, we feel comfortable guaranteeing that that it doesn’t have a mold problem. Along with those elements causing moisture, mold spores need warm air, oxygen, and organic materials to start growing. Those things are readily available in our homes and with just a little time (24-48 hours), you could have your own mold problem. Obviously mold is damaging to your home and health. If you suspect that you have mold, don’t ignore it. Launch your own investigation to find out what might be hiding in plain sight. It smells toxic. If you’ve ever smelled moldy food, it will be recognizable. And it’s ugly. It’s often pink, black, brown or green, and patchy on your walls. Spots that are black or white growing on your ceilings, walls, behind wallpaper, or even on furniture. A musty smell that can be found lurking in dark places, under furniture, inside walls and pantries, and under counters. Mold can often be detected first through smell. Check first in bathrooms, laundry rooms, and kitchens, anywhere that there is moisture, warm temperature, and humidity. A little sunlight can help as well. Paint that is peeling, bulging, or cracking. If someone in the household is constantly suffering from cold-like symptoms: runny nose, sore throat, etc. You should call in an expert as quickly as possible. Do not delay as mold is insidious and spreads quickly. It will cause health issues to you and your family and it can weaken your walls and foundation. If mold is found while you’re selling your house, you will have to take care of it and ensure that no damage was done in the process. In some cases, it can make a house completely uninhabitable. But never fear, if you call in a mold expert quickly, they will be able to stop the problem and save you a major headache. Contact us – Mold isn’t always easy to see, but we know what to look for, where to find it, and what to do when it has been found. Mold spores are always in the air, but as mold collects in a house, they will increase, making it a more toxic living environment. Another term for mold infection is fungal infection, because mold is a fungus. As mold spores are inhaled they make their way into lungs, which is where most fungal infections begin. People with lowered immune systems and asthma are more prone to fungal infections cause because of mold spores in the air. While nothing has linked mold to serious illnesses such as cancer, it can be difficult to live with on an ongoing basis. The symptoms of a fungal infections mirror many other common flues and colds. The difference would be that these symptoms lessen when you aren’t in your home or the infection building. So, pay attention to when you feel most ill.
People with lowered immune system because of disease or medication. Mold is a pain that you should prevent if you possibly can. There are steps that you can take to ensure you won’t ever have to deal with the icky issue of mold in your home. Make sure you have good ventilation in all rooms, but especially your kitchen and bathroom. Repair plumbing leaks right away. Don’t let condensation build up, particularly around windows. Keep large furniture a few inches away from the walls to encourage good airflow. Always run exhaust fans in your bathrooms, kitchen and laundry room. Deal with all flooding, even minor flooding, immediately. Be sure it is dried thoroughly as mold can begin to grow within 24-48 hours. If you see something suspicious, smell something that may be mold, or haven’t been feeling well in your home, send us an email or give us a call to set up your free mold assessment. We will make a quick appointment and come out to take a look at your property. We will give you an honest opinion about the state of the mold in your home and if you have a problem that needs our expertise. Once we’ve established that you need remediation, we will take care of it quickly, efficiently, and completely. We are mold remediation, mold installation, and mold inspection experts serving Seattle, Bellevue, Kirkland, and surrounding areas including Western and Eastern Washington. Excellent fast service, very complete inspection and good advise. They are not a company that wants to scare you into expensive solutions … infact the inspector only recommended a ventilation fan and dehumidifier. If you are looking for an honest and complete inspection you have found it.